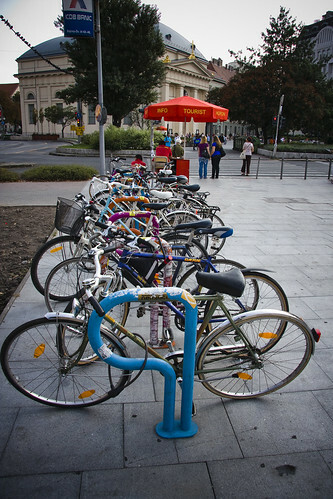 The City of Budapest is doing what they can to improve safety and facilities for cyclists. The city enjoys a very respectable 4% modal share for bikes and there is a lot of focus on improving that and mainstreaming urban cycling. 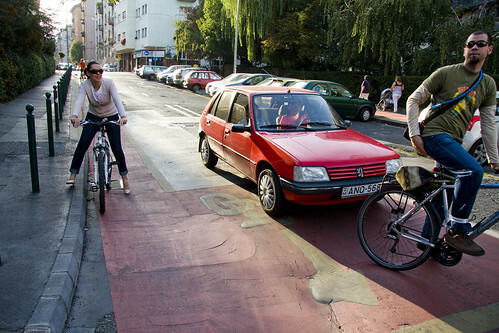 There are several stretches with bike lanes, like above. I rode past this bike box when visiting. 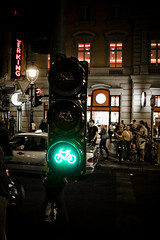 I saw several examples of traffic lights for bikes. A filled bike rack is always a healthy sign. 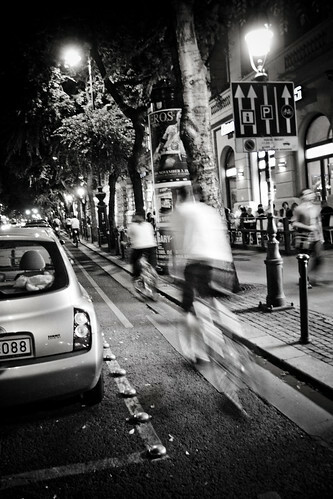 Shared lanes never hurt. While we're waiting for cycle tracks anyway. All in all it's positive in Budapest. 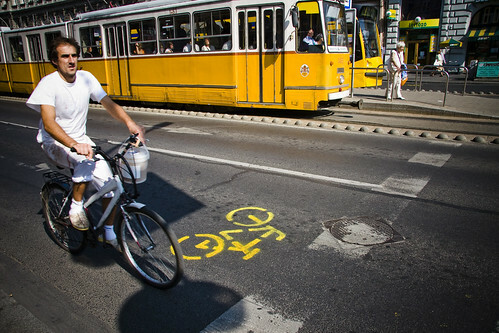 Loads of work to be done, including the classic task of convincing their politicians and Department of Transport of the necessity of constantly improving the infrastructure and mainstreaming bicycle culture.